The 6'5 Juco transfer is 2nd on the team in scoring and leads the team in rebounding. He's been extremely efficient against lower tier teams and will probably draw James Palmer to start the game on defense. There are two defining characteristics about Ford’s strategic blueprint on defense: 1) Walling off the lane at all costs 2) Disrupting passing lanes to generate steals (a complete 180 from Lusk’s approach). These two traits don’t typically go hand-in-hand, but Ford’s innovative defensive scheme(s) make it possible. During his time at Tennessee State, the Tigers consistently produced one of the highest defensive steal rates in the country, but remained disciplined enough to recover back and close off open driving lanes to the rim. But, with any defensive blueprint, tradeoffs must be made. Ford’s emphasis on generating turnovers and limiting penetration often leaves uncontested shooters scattered around the arc. Thus, if you’re going to exploit a Ford-coached defense, getting hot from distance is your best bet. Teams in the Ohio Valley took full advantage of this ‘soft spot’ in Ford’s defense as Tennessee State surrendered the 2nd most 3s in the country last year. What’s interesting is that when Ford opts to change defenses, those aforementioned two principles don’t change. He will primarily play straight-up man-to-man, but also mixes in some extended full-court pressure along with a trapping zone. Cook and Dixon are the scoring punch. Webster is the pass first PG from Texas Tech who has been turnover prone. Wojcik is probably the 4 and Church the 5 as Church is a traditional center and a prolific shot blocker. You'll probably see minutes from Juco F Kabir Mohammed, shooter Ryan Kreklow, and Jan Wojcik, the other Wojcik. 2. Shot Tracker stuff will be in use. Not sure if this will be an advantage for us. The Bears are rebuilding as they fired the under-performing Paul Lusk and replaced him with 34 year old Dana Ford who had some MVC assistant experience to go along with his 4 years at Tennessee St. Ford brings in a defense first uptempo philosophy but currently finds himself undermanned as four of his scholarships are in use by transfers needing to sit out. See, not everyone was granted waivers. Missouri St is going to try and pressure Nebraska much of the night so it will be interesting to see how aggressive we are bringing up the ball and who takes the lead should Watson be out of the game. The Huskers should have lots of open rhythm 3s and when you come into a game knowing that, you tend to believe they'll go in. 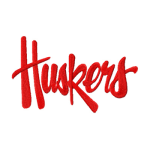 Should Nebraska have a miserable night, the Huskers should be able to clamp down with their defense. Expect another night of poor shooting for the opponent and hopefully a game where we can rest the starters at the end. Should be a fun win guys, and this is a chance to build confidence in playing on the road / neutral site. I'll be watching / listening to this one. I'd recommend installing the free StatTracker Fan App (via google play or itunes) if you enjoy looking at game stats. If you are unable to watch the game, it does have a 3d tracker that shows you where the players are and where the ball is in real time. As Southwest Missouri State, they made the Sweet 16 under the direction of a former Husker assistant. Visited KC a few years back for a football game and we asked several locals about the best BBQ joint. We had several recommendations for both Gates and a place called Q39. We tried both while we were there and for my money, Q39 was some of the best BBQ I've ever had. It's a little pricier that Gates but it was well worth it. The meat fell off the bones and the sauce was awesome. Joe's KC BBQ (best BBQ in town by a mile, IMO) has opened a location in the KC Live! block across from Sprint Center earlier this year: https://www.countyroadicehouse.com/#1 They don't carry the full Joe's menu, but do have some of the greatest hits, like the burnt ends, Carolina Pulled Pork sandwich. No Z-Man though and their fries are different (not as good) as the original location. as an aside KC BBQ is a hotly contested topic of discussion here in town; people have had long protracted and heated conversations about what is the best. Really there are dozens of very fine BBQ joints in town, the best comes down to personal preference. In my case specifically, I was an evangelistic Jack Stack guy for years and years but eventually came around to Joe's. You probably won't feel bad about any BBQ place you choose to select if that's what you do, but for God's sake whatever you do, make sure you get Burnt Ends and a Strawberry pop when you go. If you want more recommendos, or would like some info on specific specialties (French, Indian, Tex-Mex, Pizza, Vietnamese, etc.) let me know. I've got lots of experience eating and drinking in KC. By the way, IMO, Gates BBQ is straight trash. Just pure garbage! It’s the only one of that dozen I’ve been too & it was years ago... listen to the guy with the local angle. And the last significant thing that SW Missouri St. did was play in the CWS.